This mod adds the items: human flesh, human hand, human head, human foot, meat sword, and a full set of armor! The sword is unusual. 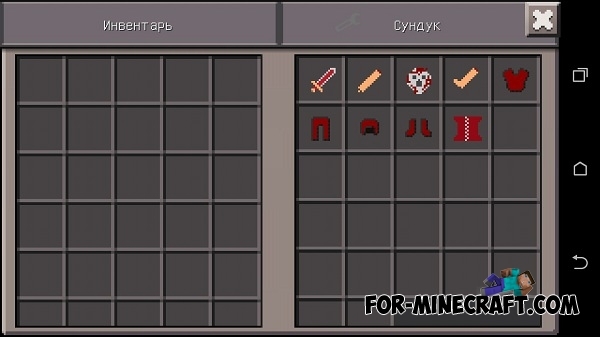 You will be getting 1 diamond in your inventory with each stroke of any mob, but little damage!